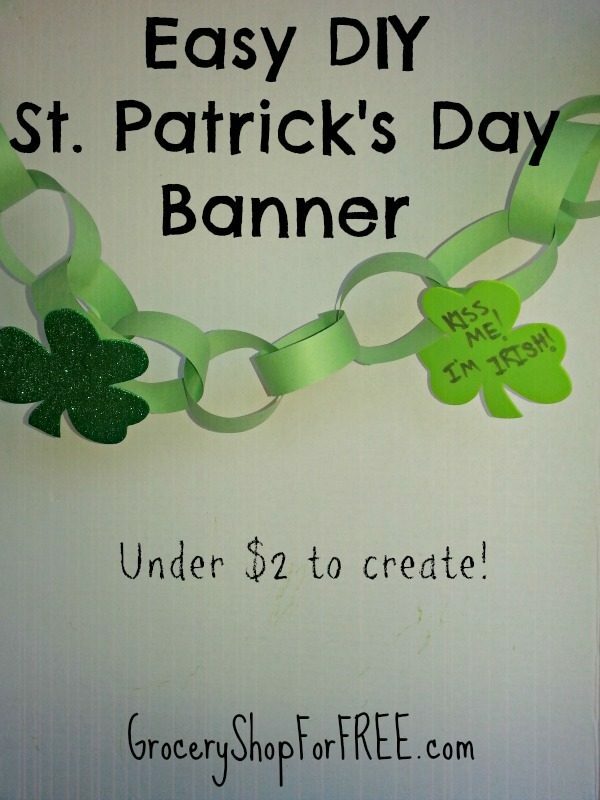 We love getting kids involved in fun decorations for the various holidays and this Easy Kid’s DIY St. Patrick’s Day Banner has to be one of our favorites to make simply because of how inexpensive and quick it is to throw together. 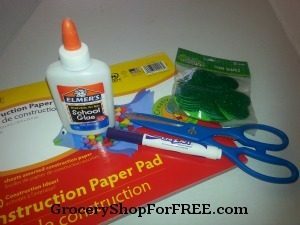 Using only a handful of supplies, a few minutes with your favorite kids and a little imagination and you can make this simple banner with Dollar Tree items or add further embellishments to make it much more unique for your own style and home. Hang on doors, mantles or table edges at various St. Patrick’s Day events. Decorating your home for holidays doesn’t have to be expensive. 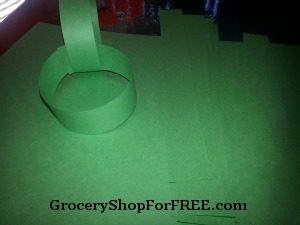 Take advantage of inexpensive supplies at the Dollar Tree for craft projects like this Easy Kid’s DIY St. Patrick’s Day Banner today.